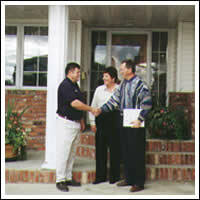 With over 70 years of combined experience in the construction industry, we at HOUSE GUARD HOME INSPECTION provide a detailed professional service that is designed to give you the knowledge to help you make an informed decision by providing a thorough evaluation of the condition of the structure, systems and components of the home you are considering purchasing. Whether you are buying an existing home, new home or selling your home, let our 70 years of experience work for you. Buying a home is a big investment; the small fee for a professional inspection may be the most important investment you make! Houseguard Home Inspection can help you make an informed decision by providing a thorough evaluation of the structure, systems and components of the home you are considering purchasing. We encourage you to accompany us through the home during the entire inspection. It is an excellent opportunity to learn as much as you can about technical features and to address any concerns you may have. Each client receives a comprehensive bindered report complete with diagrams and information on the different components of the home. This report includes a full disclosure of building conditions and advises on specific maintenance and building science issues. Also included is a seasonal maintenance checklist, residential construction & renovating estimate / budgeting guide and a comprehensive guide listing the components of a home, their life expectancy and replacement costs. We examine the home from top to bottom in accordance with Canadian Association of Home Inspectors (CAHI®) standards. Each client receives a comprehensive bindered report complete with diagrams and information on the different components of the home. This report includes a full disclosure of building conditions and advises on specific maintenance and building science issues. When Property Supervisors have property affected by water damage, who do they call a qualified water damage restoration company. We realize you have concern not just for the home you handle, however for the tenants and homeowner as well. When property is impacted by water damage it has to be dealt with quickly. A quick response water damage restoration firm to reduce further damage that can occur, keeping expenses down and lowering liabilities. Dealing with you and your renters, we dry the structure as quickly as possible so any hassles are kept to a minimum. Your occupants value the fast results, and the home owners are happy the situation was managed efficiently and cost efficiently. When it comes to scenarios including sewage or mold, we work to include the location and reduce the issue so the environment can be a healthy one for your tenants to get back to. These services have to be carried out by knowledgeable Restoration Professionals so secondary damage does not take place, needlessly putting structures at threat. File the damage: When you observe water damage, take images and record what you discover instantly, specifically if the damage impacts an occupant’s building. Thorough paperwork will help you get the optimum settlement to which you are entitled if you have to sue. Help renters: Depending on the scenario, you may have to help impacted renters secure their building and evacuate the structure. Immediate property damage restoration: The extent of water damage isn’t really always noticeable, so it’s important to examine its degree with the aid of a professional. A trusted remediation business can help with the inspection process, in addition to make complete repairs and make use of special drying strategies that offer long-lasting solutions. Water damage prevention and business continuity are crucial elements to add to your organization’s disaster preparedness strategy. If you’re unsure about the best ways to execute these elements into your own plan, Polygon can assist. When you deal with Polygon, a professional will help you develop a preparedness and healing strategy that includes water damage-related factors to consider. Plus, if you register for the Code Blue ® service, you’ll receive top priority interest if one of your houses experiences water damage or a different kind of catastrophe. Water damage can go unnoticed for a long period of time, but it’s vital to capture any moisture before it has the prospective to trigger further damage. With routine assessments, regular upkeep and a catastrophe strategy, you’ll take strides in avoiding water damage and remedying its devastating impacts. From leaking plumbing to poorly sealed windows, water damage can quickly diminish the value of your rental buildings and pose health dangers to your renters. 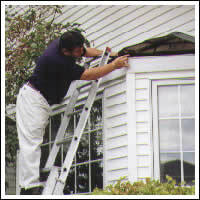 Even small damage can result in expensive property damage restoration. The first thing that we want to mention here, prior to you do any electrical assessment yourself, is to prevent touching any of the electrical system. This is going to be a quick visual home electric evaluation and can normally be done in less than an hour, unless your home is substantial. 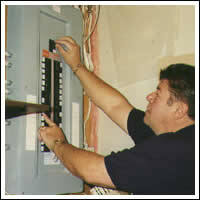 The key here is simple home electrical inspection. It’s not going to be a tough examination, it’s going to be a simple in home electrical assessment, if this is a Dallas home you are looking to purchase this inspection will not substitute for a professional electricians inspections where normally you will have a written report that is certificated. You will start your visual inspection of your home electrical system, by walking around and inspecting every one of your electrical outlets. Once again, you will not be touching any of these electric outlets, you will be looking for any sort of damage to the electrical plug and switch covers. If you find any damage, make a list of replacement parts, or call an electrician that serves Dallas, to repair the damage. It doesn’t get any easier than that. 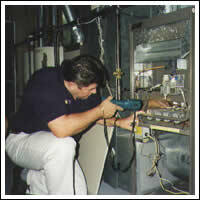 This type of electrical inspection can normally be done, in less than an hour. If you do discover any issues, with your visual inspection, you ought to fix the damage as quickly as possible. Do not mess around with your home electrical system, if you do not understand or are familiar with its operation. This is a simple electrical-inspection and must be done on a regular basis, particularly if you have children. Always remember it’s safety. Please remember this for your very own safety. If You Live in the Dallas Fort Worth area and You’re Looking for an electrical contractor Click on Berkeys Dallas Services as they are well reviewed in the area have the endorsement of the local radio Home Show. Dear Home Inspector: Our old farmhouse outside of Orlando was built in 1857, and has several”character” defects, like the drooping wood floors, that we ‘d like to repair. Some of the beams in the basement show apparent fractures are have metal supports. Whom should we look for to deal with the beams/jacking problem? We do not simply want anyone doing this kind of work on our house. Try locating a carpenter that specializes in, or has experience with old homes. “Checking” refers to fractures that run in the instructions of the grain and type when the wood is drying out. A seasoned carpenter comprehends the homes of old wood and can evaluate these conditions relatively. My biggest issue for old homeowners is specialists that talk them into unneeded repair works. An independent assessment is encouraged by an inspector that does not do repair/contracting if you have contractors that you believe are overreacting. Give the inspector a crayon to mark exact locations requiring repair services. Replacing older Orlando style floors is not hard with the many choices of flooring stores in the area. Wood structures naturally sag over time which includes gradual flexing and stretching of the fibers. Commonly it is just required to reinforce beams and joists, or reduce their period with posts or columns and accept the sloped floors as 150-year-old house character. As a home inspector, it is important to pay attention to all the details of the major home systems. Plumbing is no exception. Knowing how plumbing systems work and understanding the different types, components, and proper verbiage will allow you to identify any minor or major issues. Join Chris Chirafisi, AHIT’s Director of Technical Training, for this informative webinar which will discuss the important items to consider when inspecting plumbing, what to look for and where to look, as well as important standard operating procedures and industry standards to help you perform a thorough plumbing inspection of a home.